Remove the mounting bolts (1) for the front suspension frame skid plate. 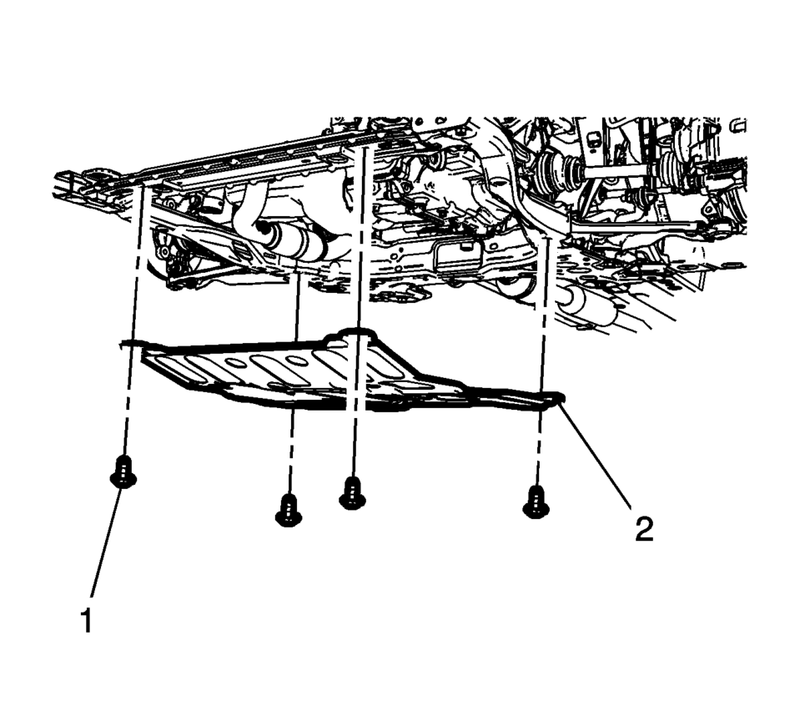 Remove the front suspension frame skid plate (2). Position the front suspension frame skid plate (2) on the frame.